From the letter of the law a mourner who is past Shiva may bathe as usual. Nevertheless the custom today is to prohibit any bathing throughout the Shloshim. It is even forbidden to bathe the head [or any other limb, using hot water]. 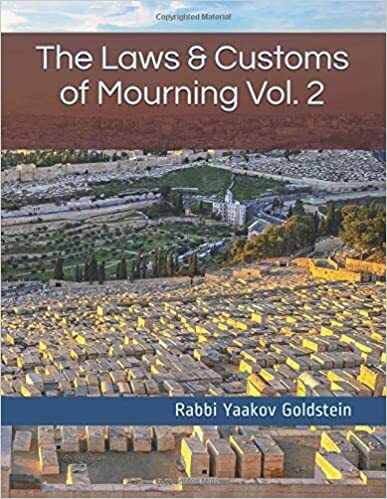 One is not to swerve from this custom, as it is an ancient custom that was established by the elderly scholars and Torah leaders. Cold water: The above prohibition and custom only refers to bathing in hot water. However in cold water it is permitted to bathe even one’s entire body, after Shiva during Shloshim. Some Poskim however only permit during Shloshim for one to bathe the head, arms and feet in cold water, and not one’s entire body. Practically, one may be lenient in this matter [to bathe his entire body in cold water] when one is not bathing for the sake of pleasure but rather for cleanliness. One who is dirty: One whose body is dirty [such as due to sweat] may bathe/shower regularly [even using hot water] in order to remove the dirt and sweat. [One may only wash with hot water the area of the body that is dirty. If however one feels dirty in his entire body, then he may bathe his entire body. One may not remain in the hot water once the dirt or sweat has been washed off.] This allowance applies even during Shiva. One may not bathe/shower in hot water during Shloshim any part of his body unless he is dirty/sweaty, in which case he may wash off the dirt/sweat even using hot water. One may bathe regularly using cold water for the sake of cleanliness. May one go swimming during Shloshim? One is not allowed to swim for pleasure during Shloshim. May one bathe on Erev Shabbos during Shloshim? Hot: On Erev Shabbos during Shloshim one who bathes himself every Erev Shabbos, may wash his head [hands and feet] even in hot water. However one may not bathe his entire body in hot water. Cold: One may bathe his entire body in cold water on Erev Shabbos during Shloshim. The reason: As a) By a dispute In Aveilus we rule leniently, especially when the entire prohibition is based on custom. b) Today it is not common to shower in cold water for pleasure, and on the contrary it is a great annoyance to do so. c) The reasons mentioned behind avoiding bathing during Shloshim does not apply when bathing in cold water. Other opinions: The Rama ibid rules one may wash these parts only with cold water.